At EPOCH, we’re proud to be a part of the Valeo Student brand, where we strive to live up to our mantra: Work Hard, Have Fun, Help Others. That’s why we’re so thrilled to take part in the deeply ingrained community events like Clemson Dance Marathon. According to The Newsstand, this year’s Dance Marathon, which took place on Saturday, March 2nd, raised a record-breaking amount of $230,759.48. "It’s an amazing event that supports the local children's hospital and allows you to experience how your contributions are changing their lives forever." Dance Marathon is the annual main event for Children’s Miracle Network, a nationwide organization that includes 300 colleges and high-schools and raised nearly $42 million in 2018. The Clemson chapter is entirely student-run, led by Senior, Morgan Witherspoon. Clemson Miracle supports Children’s Miracle Network Hospitals and Facilities, including the Children’s Hospital at Prisma Health Upstate (formerly GHS). The event itself is a 12-hour challenge in the FIKE gym. Participants cannot sit or sleep to honor the fight that many sick children are facing. During the event, a hype-team known as the Morale Group goes around to keep spirits high and leads choreographed dances. There’s every style of dance, including line dances. Miracle families come on stage to tell their stories and how the Miracle Network directly impacted their journey and health. The therapy dogs from the Canine F.E.T.C.H. 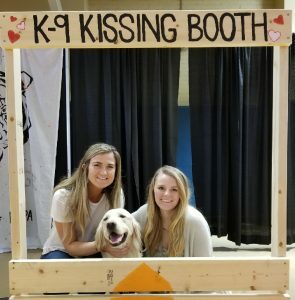 unit were on-site to raise spirits and participate in a Doggie Kissing Booth. Epoch donated a total of $2,620, including $1,000 cash, $1,000 in prizes, $300 to match a future resident's donations, $300 in EPOCH promo items, and $20 for Scout and Sarah (our two Community Assistants working the event) to do the canine kissing booth! Our EPOCH tribe was proud to participate in this purpose-driven event with such visible and immediate effects for families. 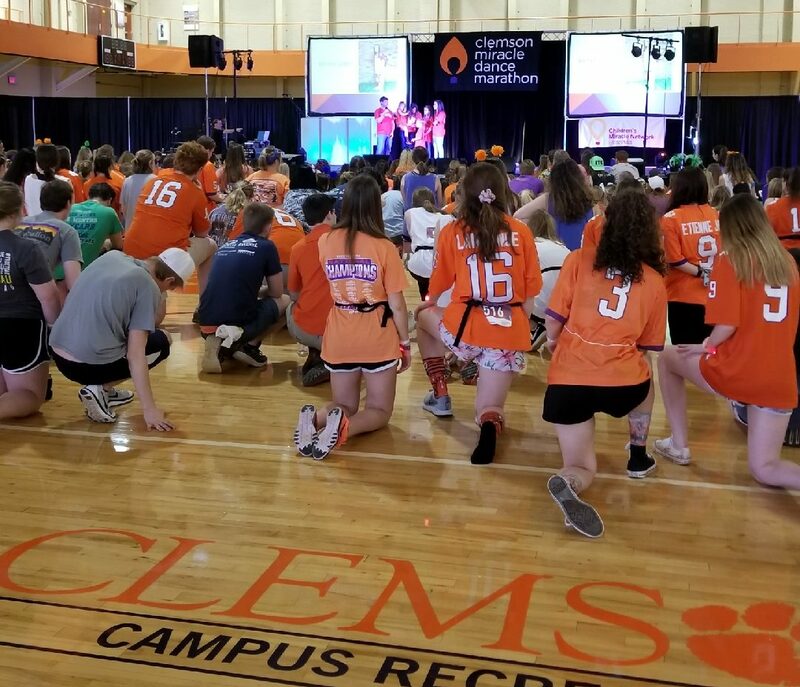 We always strive to leave it better, and that’s exactly what Clemson Dance Marathon and Children’s Miracle Network does. "I loved making the kids days and seeing the types of people that this charity helps each day." To wrap up the event, everyone forms the “Circle of Hope.” Participants hold out their wrist bands, and a Clemson Miracle executive snips them off. This symbolizes the moment a child removes their hospital wristband following treatment. This is followed by one final dance (fittingly, “Eye of the Tiger” — GO TIGERS!) Then there's the big reveal of the total amount raised at Dance Marathon. It’s truly fulfilling to see a year of hard work come together and achieve such a staggering success. 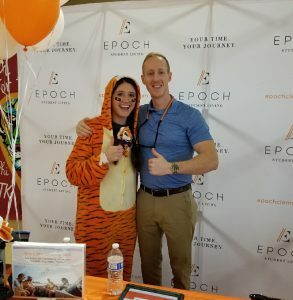 At EPOCH, we can’t wait to take part in this Clemson tradition for years to come and live up to our Valeo purpose of leaving it better and growing community.